With NATO support, The Millennium Project - a global think tank - in collaboration with FIRS2T Group (Israel) brought together futurists and other experts from 14 countries to explore future forms of terrorism and what is needed to reduce these threats. Washington DC, USA, April 9, 2017	(Newswire.com) - ​Artificial intelligence, synthetic biology, and other future technologies will give individuals extraordinary power; including lone wolf terrorists. Last July, 25 futurists and security experts from 14 countries met for several days near Washington, D.C. to share their research, insights, and identify new technologies and policies to address the potential threats -- threats from far more destructive terrorists in the future than we have today. Their presentations are available on The Millennium Project’s website at: http://www.millennium-project.org/millennium/NATO-PredetectionWorkshop.html. 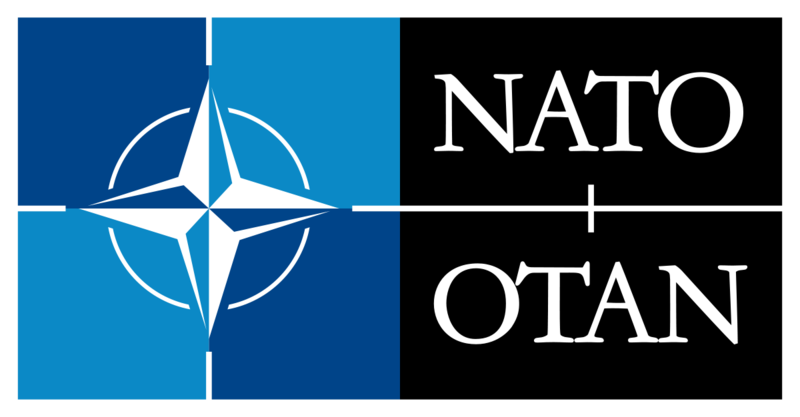 After the workshop, the participants were asked to further reflect and contribute to a new book in the NATO Science for Peace and Security Program. The result is a 170-page book with 16 Chapters titled Identification of Potential Terrorists and Adversary Planning: Emerging Technologies and New Counter-Terror Strategies. “To my mind,” writes Jamie Shea, Deputy Assistant Secretary-General of NATO, “this publication is one of the best studies of modern terrorism and what to do about it that we have at our disposal.” It explores themes ranging from changing security paradigms to speculations about new technologies and their potential uses both for increasing threats as well as prevention and pre-detection of would-be terrorists. The concluding chapter calls for a new strategic triad to find such terrorists and preventing their actions by: 1) technological means and administrative measures developed and managed by the state; 2) education and public health means to reduce the number of such potential individuals; and 3) new roles for the general public for early detection of such individuals. Education systems that explicitly promote tolerance and a culture of peace. “During the Cold War the public had no role in deterrence, but now, and increasingly in the future, the public could be on the front line of detecting lone wolves before they attack,” says Jerome Glenn, CEO of The Millennium Project. 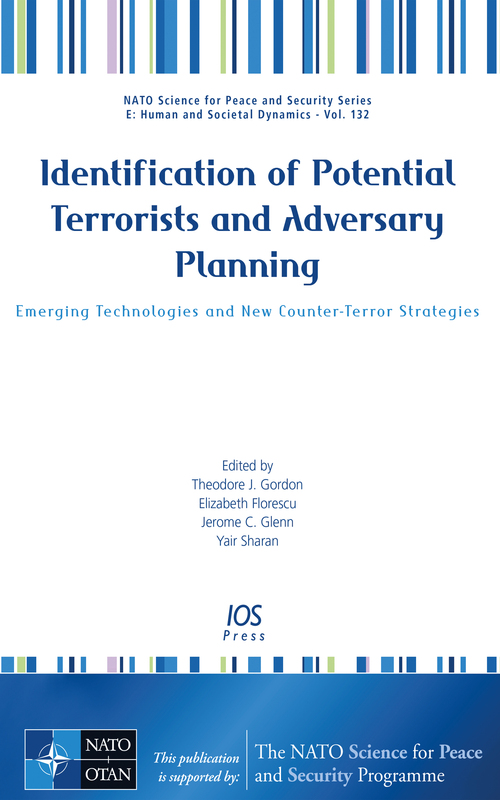 Copies of Identification of Potential Terrorists and Adversary Planning: Emerging Technologies and New Counter-Terror Strategies, edited by Theodore J. Gordon, Elizabeth Florescu, Jerome C. Glenn, and Yair Sharan ISBN 978-1-61499-747-4 can be ordered from IOS Press http://www.iospress.nl/book/identification-of-potential-terrorists-and-adversary-planning/ or Individual chapters from info@millennium-project.org. The Millennium Project is an independent non-profit global participatory futures research think tank of futurists, scholars, business planners, and policy makers who work for international organizations, governments, corporations, non-governmental organizations, and universities. It has 63 Nodes (groups of institutions and individuals) around the world that identify long-range challenges and strategies, and initiate foresight studies, workshops, symposiums, and advanced training. 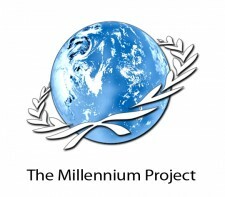 Over 4,500 experts have participated in The Millennium Project’s research since its inception, in 1996. The Project’s mission is to improve thinking about the future and make those insights available through a variety of media for feedback to accumulate wisdom about the future for better decisions today. It produces the annual "State of the Future" reports, the "Futures Research Methodology" series, the Global Futures Intelligence System (GFIS), and special studies. The Millennium Project was selected among the top think tanks in the world for new ideas and paradigms by the University of Pennsylvania’s GoTo Think Tank Index, and was named Computerworld Honors Laureate for its contributions to collective intelligence systems. The FIRS2T Group, Israel. 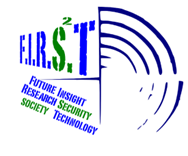 The Future Insight Research Security, Society and Technology (FIRS2T) group is a consortium of researchers from different disciplines carrying out interdisciplinary research and studies. It was established in 2013. Studies focus on policy topics, supporting decisionmakers to use experience in foresight processes and in different societal issues. Key considerations in its strategic thinking are developments stemming from new and future technologies which will have a critical impact on the future of society. Current research includes the prospects of lone actor's terrorism worldwide, smart cities in the age of terror, the future of work and free time and more. FIRS2T members are partners in the Israeli Node of the Millennium Project and in the World Energy Congress. FIRS2T website is http://ronydayan.wix.com/firs2t.